SYDNEY’S inconsistent form isn’t the only concern for coach John Longmire, with a match-up for in-form Richmond star Tom Lynch also weighing heavily on his mind ahead of Saturday night’s clash at Marvel Stadium. 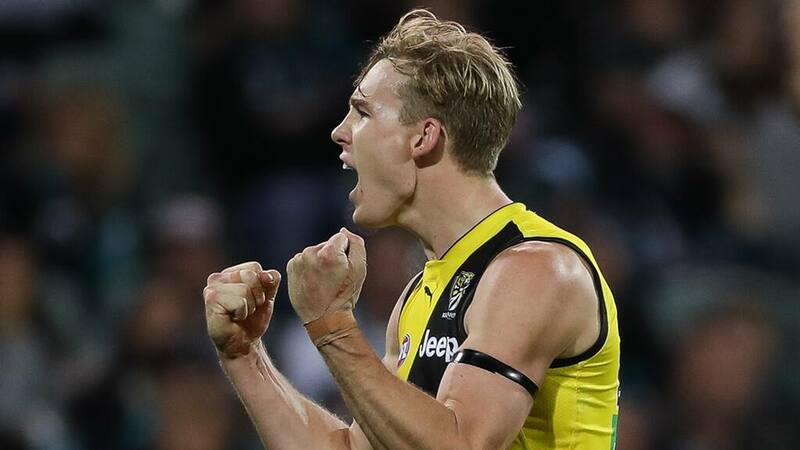 The Swans sit 15th on the ladder with just one win from their first four games, and while the Tigers are only two spots above them, Damien Hardwick’s men head into round five brimming with confidence after a stirring victory over Port Adelaide on the road. It’s a stark contrast to Longmire’s side, who lost another home game last week, this time to Melbourne, in what was their ninth defeat from their past 14 matches at the SCG. Sydney hasn’t given up too many big scores in 2019, but the trio’s absence has placed more pressure on the team’s backline. All Australian and co-captain Dane Rampe looks to be the first choice to take on Lynch, with Aliir Aliir another candidate depending on the Tiger’s starting position, and Longmire said on Monday that finding the right defender for the role is a huge decision. “We’ll weigh up both options, whether it’s our best defender on him or it’s (another player dependent on) where he lines up (on the ground),” he said. “It’s obviously an important match-up, he gives them a good target and focal point that the smalls can work off. “He’s either marking it and kicking goals, or he’s creating a contest and giving crumbs to their smalls who hit the pack hard. “We’ll have a look at that, we’re not sure (at this stage),” he said. “I thought (Josh) Kennedy did a pretty good job on (Rory) Sloane a couple of weeks ago against Adelaide, so there’s a couple of different options for us to be able to use in those roles. The Swans’ ability to pressure Martin and his teammates around the footy on Saturday night will be crucial to their chances, and getting their hands on the footy first will go a long way towards fixing a concerning area of their performances this season. “We’ve been really poor at (giving up) scores against from stoppages, that’s been a consistent theme, and it’s an all-over team structure we need to get right,” Longmire said.